For many Lake Tahoe real estate owners Snowfest is the most fun time of the year. I know that for me it is for sure. It is 10 fun filled days where you can get silly and be as active or as passive as you like. 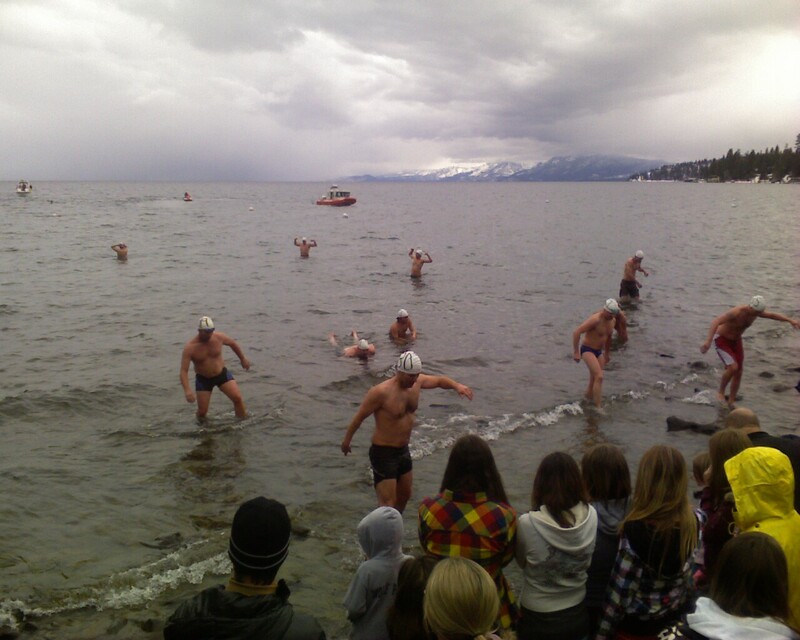 Snowfest Tahoe includes the infamous Polar Bear swim at Garwoods, Bartender games at Pete’n’Peters, Dog Pull, and an array of late night entertainment. The opening ceremonies are done with a boom of fireworks, and take place at Squaw Valley tonight, 2/28/14. 10:30am Sam Adams 30th Birthday Bash! 9:00am Watermans Landing Fun Day! Download a Tahoe SnowFest 2014 Pocket Calendar of events. Click to Search Lake Tahoe Real Estate for Most up to Date Lake Tahoe MLS Listings, or Contact Olja Mihic, Your Trustworthy Lake Tahoe Realtor, with any real estate questions, including Tahoe City Real Estate, Squaw Valley Real Estate, Truckee Real Estate, and Lake Tahoe Luxury Homes. Currently Lake Tahoe MLS shows 321 active Lake Tahoe real estate listings, which is the same amount of listings as last week. This week Lake Tahoe real estate is seeing increases across the board. The median Lake Tahoe real estate price is $875,000, which is an increase from last week’s $859,000, and average Lake Tahoe property price at $1,705,049 which is, also, an increase from last week’s $1,666,490, meaning that Lake Tahoe luxury homes sales activity is picking up. Average days on the market is shown in Lake Tahoe MLS to be 205 days which remains steady over several weeks. 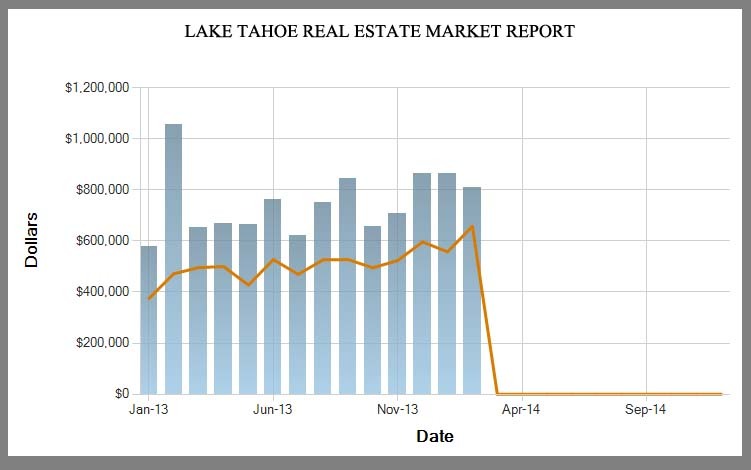 Lake Tahoe MLS shows that in the last week 10 Lake Tahoe homes sold, which is a slight drop from last week’s 15. However, given that the number of active listings has not changed from last week, 10 new listings have also hit the Lake Tahoe real estate market, making this a very healthy property market – 10 sold/10 listed. Lowest priced sale was at $315,000 in Truckee Real Estate, and highest at $1,250,000 in Squaw Valley real estate. Average Lake Tahoe real estate price was $$734,998, which is a drop from last week, due to the fact the most expensive home sold this week is only 1.25M, and median Lake Tahoe real estate price was $805,000. Average Lake Tahoe homes for sale price last week was $$1,051,900, and median $710,000 which means that with the 43% drop in average sales price, the Lake Tahoe Luxury Homes market still dictates the averages, but median price increase of 13% is the true indicator that Lake Tahoe real estate market is further increasing. Average days on the Lake Tahoe real estate market was 82, which is a significant decrease over the past weeks. Currently Lake Tahoe MLS shows 183 active Lake Tahoe condominiums, which is very comparable to last weeks 185. Lowest list price is $40,000 in Tahoe Donner, and highest at $6,499,000, famous Godfather II estate in West Lake Tahoe Real Estate location of Fleur-de-Lac . This makes the median Lake Tahoe home price $549,000, and average Lake Tahoe property price at $764,258, showing not much change over several weeks. Average days on the market is shown in Lake Tahoe MLS to be 199 days, also unremarkable same as in weeks prior. Lake Tahoe MLS Shows that in the last week only 2 Lake Tahoe condominiums sold! Average and median sold price was $268,950 and days on the market was 90. This indicates that with 183 active Lake Tahoe condominiums, the Lake Tahoe real estate market has slowed for condos. Part of the problem could also be that the Lake Tahoe real estate market no longer offers too much at desired under $300,000 range, and buyers are hoping that it might. Jimmy Kimmel has been doing a sequence of celebrities reading mean tweets about themselves. It is as educational as it is funny, as it demonstrates how impersonal online interactions truly are. We here in Lake Tahoe real estate do try to have more personable interactions with our clients, and encourage face to face time with your Lake Tahoe Realtors. But, while you are on the internet, you may as well laugh at some of these … Enjoy!